LE3U 14MR6AD2DA PLC programmable logic controller 8-point input, 6 relay outputs 6..
Introduction of the timing belt Timing belts Tooth Type: gt2 min Length:10m Width:6.. 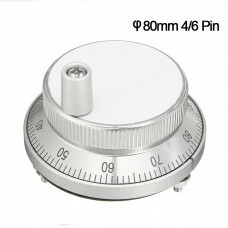 Product NameLaser-beam photoelectric SwitchDimensionsDiameter 12MM × 58MMCable.. LED Text display MD204L OP320-A text viewer RS232/RS485 modbus protocol 3X 4X Cost-effective..
SIEMENS LOGO USB-LOGO Isolated Cable 6ED1 057-1AA00-0BA0 PLC CABLE LOGO! 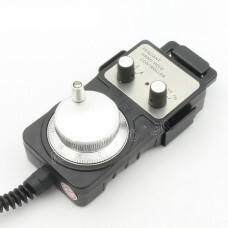 USB-CABLE ..
Support for 12V power supply Can be connected to the laser head 7.5-12V,5V fan USB interfa.. 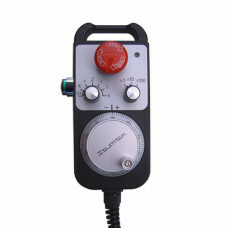 I. Pendant Handwheel Description: 1) CNC system and position control of variou..
CNC Pulse Generator 6 Axis MPG Pendant Handwheel & Emergency Stop, manual pulse generator for Si..
5 positioning axis, 5-axis, two analog spindle 1ms interpolation cycle, 0.1um control accuracy ..
Model SH-HC31 height controller for flame/plasma cutting torch is simple and easy to use, convenient.. 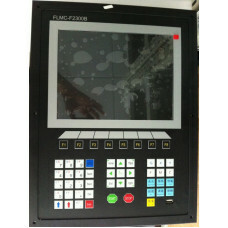 The basic parameters of configuration: Master MCU: Industrial ARM9 chip Number of controlled axe..
1. ARM 9 +DSP CNC cutting controller 2. 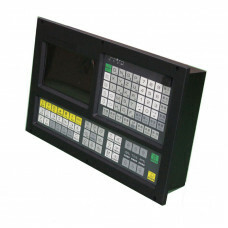 10.4 inch industrial monitor Key fea..
By Industry: CNC machine tools Product Structure: hand / hand-held Outside diameter (mm): 60 Aper..
DSP CNC 0501 control board, DSP control connection card, control card Technical: Could be comp..
Engraving machine handle DSP 0501 Handle keyboard ..
manual from https://www.nvcnc.net/zkmotion.html1. Fully supporting all Mach3 versions, i.. Controlled 1A the two-phase four-wire stepper motor mini adjustable volume segments, up to..